We think that it is very important that we are able to provide our members with electricity at the lowest possible price. In addition, we are extremely proud of the fact that we are a member-owned electric cooperative. If you receive service from Ozarks Electric Cooperative, you are one of 70,000+ owners of our cooperative. 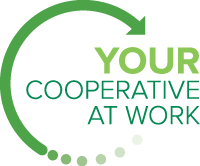 Capital credit payments are one of the ways that we show our members that our Cooperative is at work. Our local ownership and locally-controlled electric service continues to make us stand out among utility providers. Like most well run businesses, our annual revenue generally exceeds our expenses. However, unlike other businesses, our membership receives any excess revenue we earn each year, based on the amount of electricity used during the year. Our members share in the successes of our Cooperative. To date, we have distributed $39 million in capital credits to our members. It is our goal to continue this relationship with our members, and to always put their quality of life at the forefront of every decision we make. We want our members to continue to enjoy the benefits of being a part of an electric cooperative and we will strive to do everything we can to operate in a responsible manner, allowing us to continue issuing capital credits to our members, year after year. Please make sure to stay tuned to our News Blog and social media sites for information and details on future capital credit distribution and information.